In Europe, the component assembler is responsible for its waste until the end of the disposal chain. This obligation only expires when the materials lose their waste character. 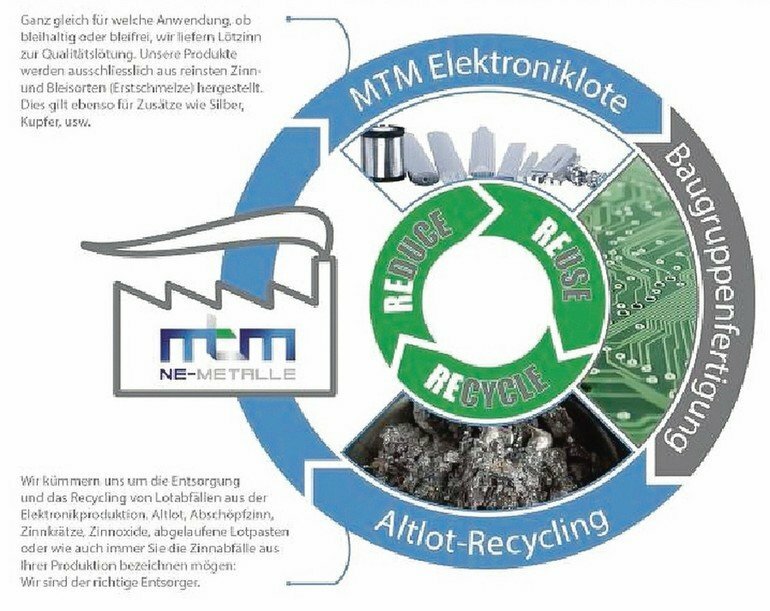 MTM NE-Metalle GmbH guarantees legal certainty in the disposal of the solder waste through the provision of appropriate documentation, in which the recycling process is precisely documented in the event of an audit. The German company is certified for the handlings of old solders, according to ISO 9001:2015, and offers free, correct, and effective advice, as well as, solutions for subsequent disposal. „When dealing with old soldered products, sorting is important to ensure high recovery rates and effective utilization”, explains Mutschler, Managing Director. According to Article 8 of the Directive 2008/98/EC of the European parliament and of the council, assemblers of electronic components are liable for their soldering waste for as long as they retain their waste character as regulated in Article 6 of the same Directive 2008/98/EC. 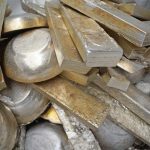 However, it is still common today for most companies to send their old solder to new solder suppliers or sell it to scrap dealers. The commissioning of third parties presents a high risk of legal uncertainty, since if the waste is handled improperly by the recipient, legal consequences may ensue for the manufacturer. 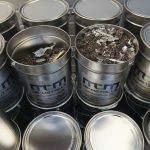 MTM NE-Metalle GmbH, located in Germany, is certified for the handling of old solder according to ISO 9001: 2015, offers free, up to date factual advice, and is qualified to recommend appropriate solutions for disposal of these materials. Due to being certified along with their extensive experience, they are a first port of call for component assemblers when it comes to managing solder waste. They also offer training in handling these harmful materials. 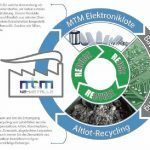 “We work with around 300 tons of solder waste per year, and we are a large service provider in Europe for the recycling of used solder material”, says Dan Mutschler, Managing Director. 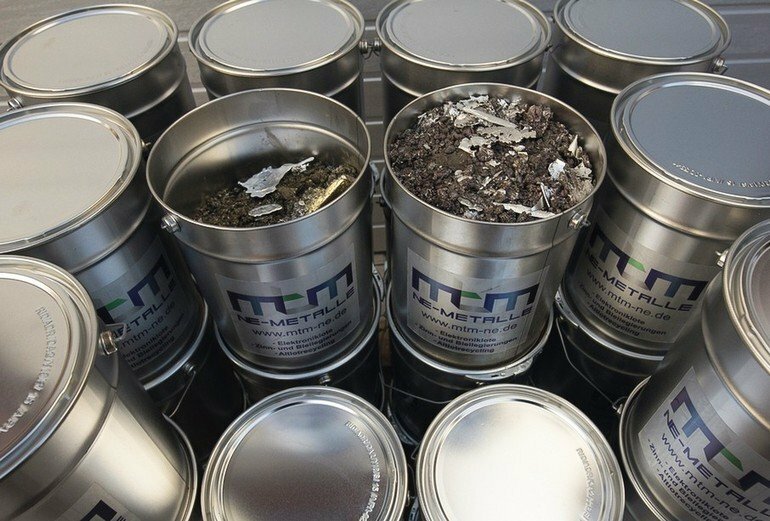 “Using our expertise, we can support any component manufacturer that needs to take care of their waste.” The company guarantees legal certainty when disposing of solder waste by keeping documentation in which the recycling process is precisely recorded for auditing purposes. 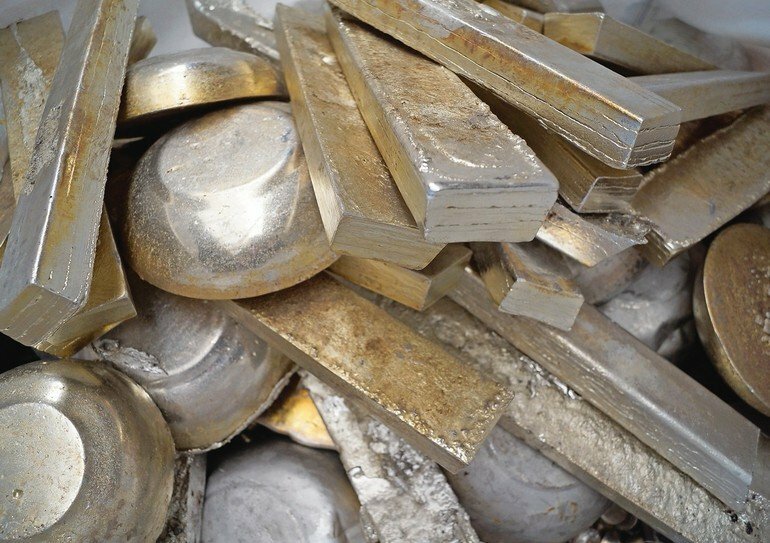 “When dealing with used solder material, sorting is important to ensure high recovery rates and effective utilization”, Mutschler explains; “Simply mixing the solder waste makes neither economical nor ecological sense, since it makes reprocessing much more difficult. 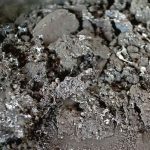 This is inconsistent with the concept of sustainable recycling and the functional use of materials.” The various additives, including nickel, germanium, silver, bismuth and phosphorus, require well-founded metallurgical expertise to allow for effective sorting of the different micro-alloyed solders. In order to respond to these challenges, the company carries out material analysis using various spectrometers and x-ray devices. 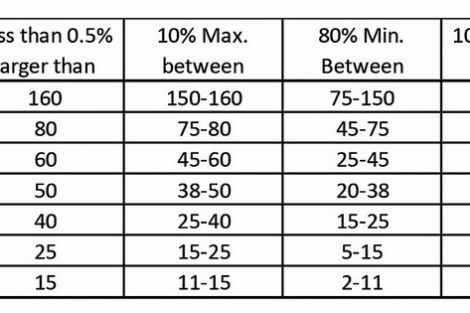 This is the only way to classify the waste solder so that a qualified recycling process can be selected. 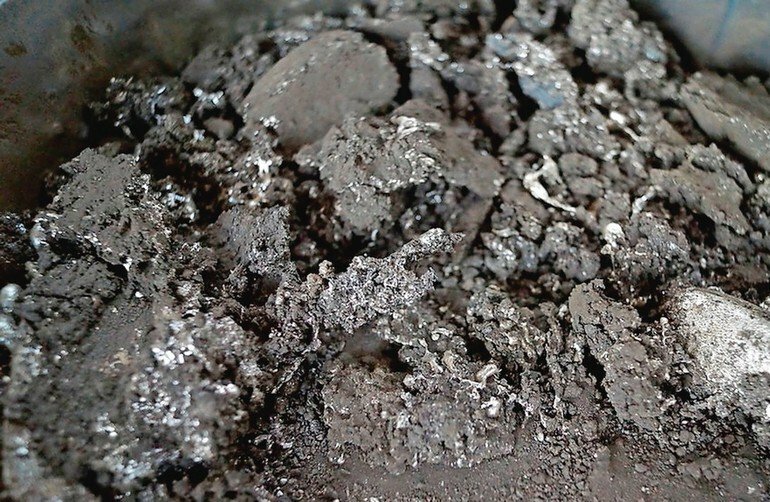 “It is not uncommon that through our accurate material analysis of the solder waste, component assemblers gain information about the impurities in their production process, which might otherwise go unnoticed”, Mutschler reports. Transport routes can also be better planned when experts for new and old solder are involved. “When commissioning a third party, the waste producer, i.e. the component assembler, should seek advice about regional and national statutes, and in the event that international disposal agencies are involved, also international statutes”, Mutschler states. “This can be a huge nightmare of logistical and legal problems which are beyond the abilities of those not trained or qualified to handle such matters.” In addition, much of the solder waste cannot be processed by the solder manufacturers themselves, so it must then be sold on to specialized metallurgical plants equipped with special smelting plants, pyrolysis and vacuum distillation ovens, and electrolysis systems. The company has a well-established network, with efficient supply chains so that complete processing and recycling is achieved within a short timeframe, as well as guaranteeing that the recyclable waste is delivered in an environmentally-friendly and cost-effective manner to the sites where it is recycled. This means that there is only one interim storage facility in which the material is sorted by experts before it is prepared for the proper recycling pathway. 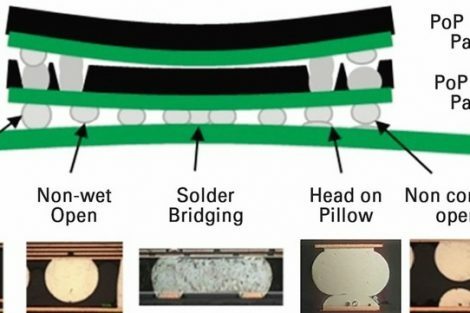 Since solder waste can be dangerous, safe transportation is important. “A risk of transport damage can result in leakage of waste from ill-chosen packaging for solder waste, such as cardboard cartons, leading to environmental pollution,” Mutschler explains; “If packaged incorrectly, even when using waste disposal companies, contaminants can still gain access by seeping into the material during the handling process. For the legitimate and safe transportation of waste from the production site to its final processing location, a company needs to use special made containers.” The company supplies material-specialized drums for storage and transport, e.g. buckets, pails, and drums with capacities from 9 to 216 liters. 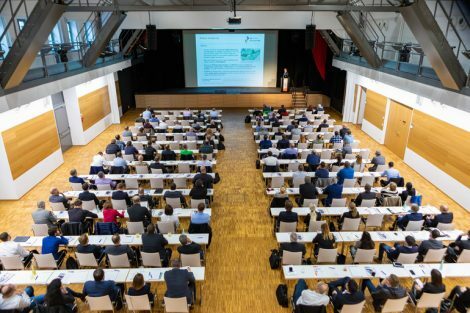 “Many companies are specialized in the production of component assemblies and are familiar with the corresponding electronics and DIN standards”, explains Mutschler. “However, the issue of waste management only plays a subordinate role.” The company offers training courses to make waste producers aware of waste legislation, for example the European Ordinance on Waste Recovery and Disposal Records, and packaging regulations. Each material is categorized according to a code number and must be appropriately handled. Knowledge is important because not every company has the required reliability standard. “Many self-proclaimed waste disposal companies often do not have sufficient knowledge of waste disposal law, nor do they have environmental liabilities, let alone sufficient liability, to cover insurance claims. 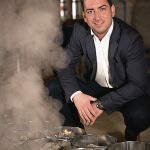 Since the waste producer can also be held liable after the commissioning of third parties, we strongly advise against using such disposal companies”, Mutschler states, “In our training courses, we draw attention to the usual pitfalls, so that companies can recognize who they should be working with. The different obligations regarding documentation are also covered. We educate companies about the recycling process, as well as what they need to ensure for storage and transport of materials. Complex logistical and physical processes are involved, which at first glance may not even be suspected”, reports Mutschler. With this training, companies will know what to look for, and be well informed of the ecological and economical mode of disposal. Bei einer unsachgemäßen Behandlung von Lotabfällen drohen juristische Konsequenzen für den Elektronikhersteller. 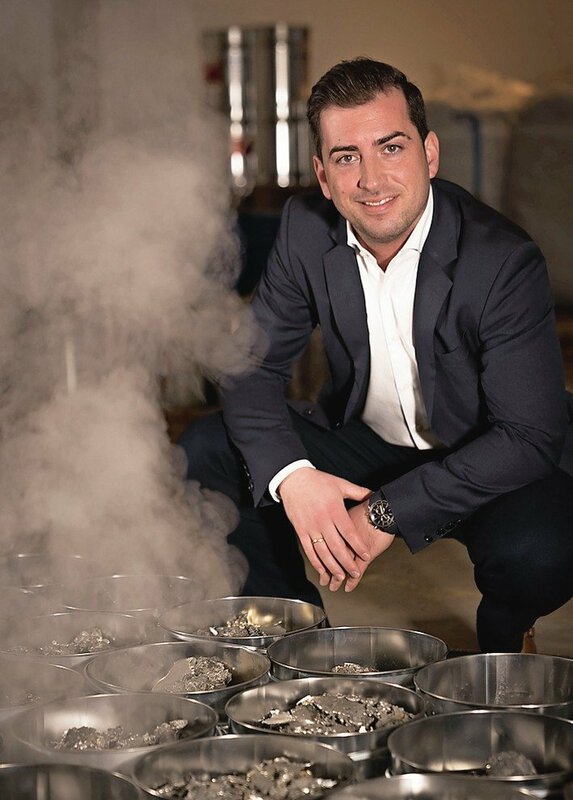 Hier können sich Betriebe durch einen Händler helfen lassen, der deutschlandweit für das Handling von Altloten zertifiziert ist sowie eine effektive Beratung inklusive anschließender Entsorgungsmöglichkeit bietet. Le mauvais traitement des déchets de soudure pose des problèmes juridiques pour le fabricant d‘électronique. Ici, les entreprises peuvent être aidées par un revendeur, qui est certifié pour la manipulation des eaux usées en Allemagne et offre des conseils avisés, incluant diverses options pour l‘élimination de ces déchets. Ненадлежащее обращение с отходами, образующимися при пайке, может привести к серьезным юридическим последствиям для производителя электроники. В этом случае предприятия могут обратиться к дилеру, уполномоченному на транспортировку отходов пайки на всей территории Германии, который может проконсультировать клиента и предложить возможности утилизации.